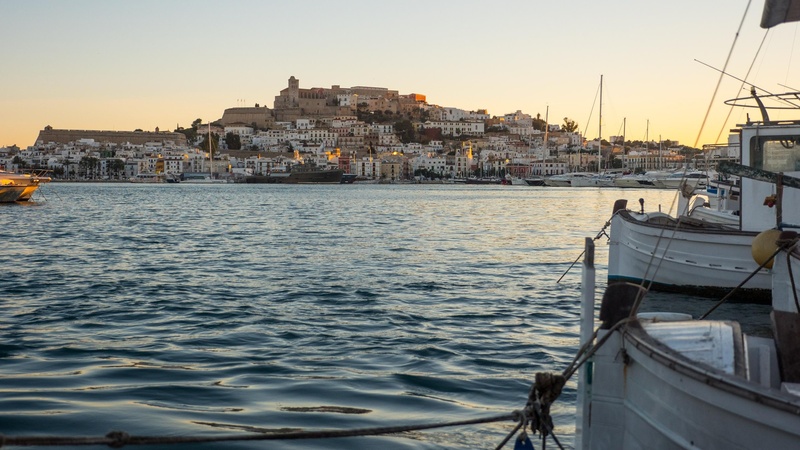 Many visit Ibiza in search of its atmosphere and its incredible coastal landscape, but few know that this small Mediterranean island has been a UNESCO World Heritage site since 1999. This is thanks to its cultural and natural assets, making it a point of reference for visitors to the Balearic Islands. This declaration is referred to by the title “Ibiza, biodiversity and culture”. The most notable enclave encompassed by this declaration is the old town of the city of Ibiza, popularly known as Dalt Vila, a historic centre that dates back to the Roman period, and later the Muslim period, cultures which helped to form the main structure of this imposing architectural complex. 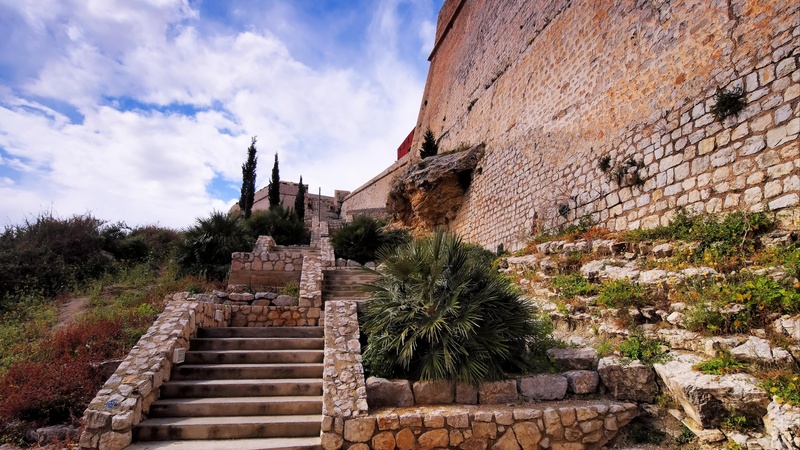 The whole area stands over the newer city thanks to the enormous walls that protect it, one of the best preserved walled cities in the Mediterranean. 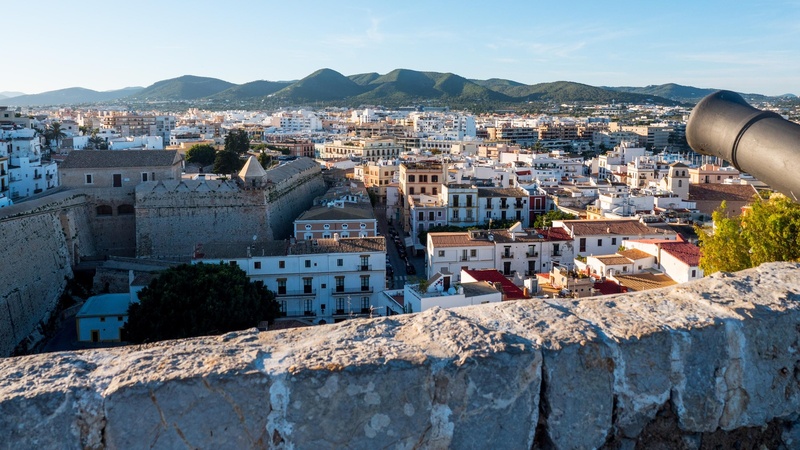 On its interior, we find historic houses, viewpoints that allow us to observe the city and the sea horizon, and at the summit we find the castle and cathedral of Ibiza. The neighbouring quarters of La Marina, Es Soto and Sa Penya also form part of this complex. Visitors must not miss out on taking a walk here. Other important places encompassed by the World Heritage declaration are Ses Feixes, a former garden area, significant for the intricate irrigation system, inherited from the Muslim period, and now home to endemic birds of the island; the Phoenician town of Sa Caleta, an example of archaeology essential for understanding how the first inhabitants of the island lived; the necropolis of Puig des Molins, where significant archaeological remains of the Phoenician-Punic culture have been found; and finally the most important natural treasure of the Pityusic Islands, posidonia oceanica, a marine plant which is the secret to the beauty of the island’s waters, and which is crucial for the subsistence of the marine ecosystem. 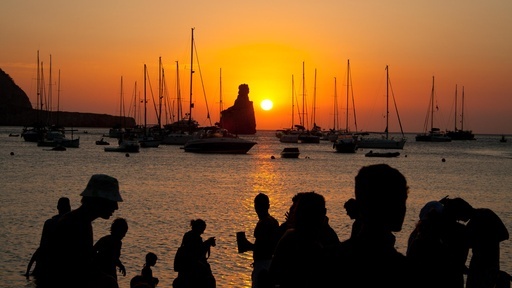 In short, Ibiza has a lot to offer at a cultural and natural level for visitors seeking something more. With the arrival of the summer heat, a holiday in Ibiza is a pleasure for facing the high temperatures. When you arrive on the island, you will probably want to just dive into the sea and enjoy your free time with tourism, or simply by doing nothing at all. 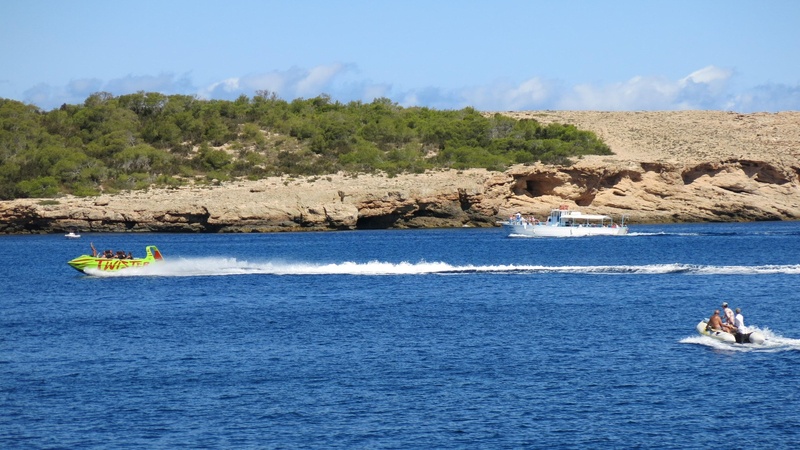 It’s also possible that you will fall in love with the landscape, and therefore, one of the best ways to discover the coast of Ibiza and the secrets that it hoards is by taking part in activities and watersports. 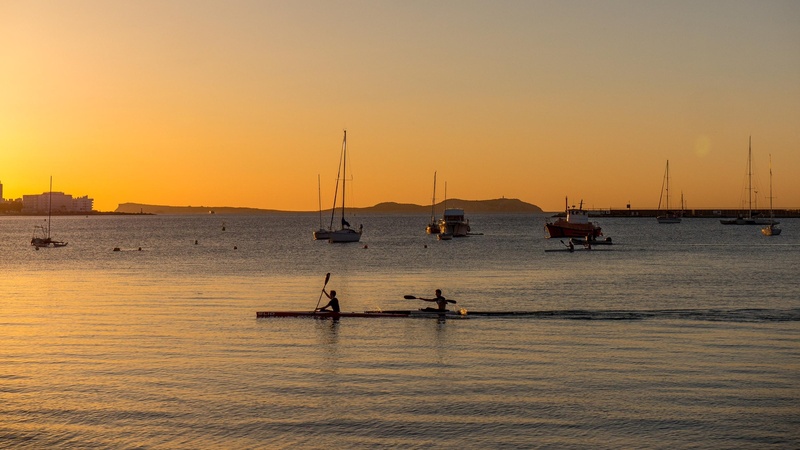 By swimming or taking a boat, you will discover the Ibizan coast, but only by rowing yourself will you be able to see the landscape up close, covering greater distances than by swimming. This is why one of the most attractive ways for combining sport and tourism is kayaking or paddle surfing. Exploring the seabed. You may never have thought of doing it, but scuba diving is an activity available to everyone in Ibiza, with some of the most attractive dives in the Mediterranean and fantastic diving centres for taking scuba diving courses with the PADI certification. A journey on foot. Of course, if you wish to discover Ibiza in a leisurely way and at your own pace, you can always take a pleasant, healthy walk to enjoy the tranquillity of this island. There are many areas for doing so: mountains, coves, the countryside, hidden inland towns, cliffs over the sea – any of these settings will be perfect for you to disconnect and enjoy the natural beauty of the island. 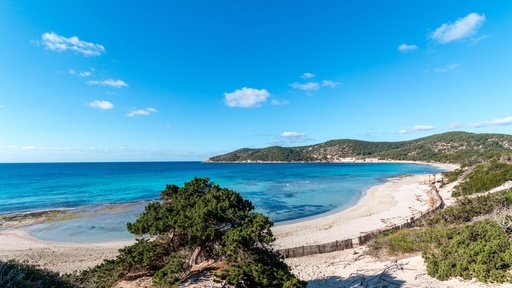 If you are seeking an unforgettable route, set off towards the south to visit the Ses Salines Natural Park, probably the area of the island that best exemplifies the landscape of Ibiza. 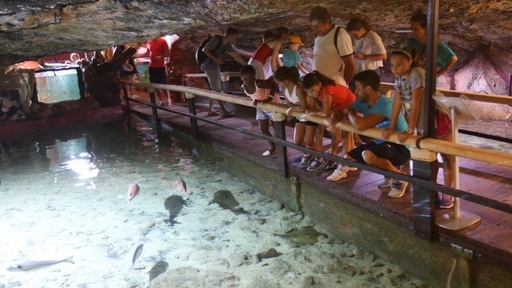 On the coast of Sant Antoni de Portmany and very near to the beach of Cala Gració there is a very special fishing area, the Cap Blanc aquarium, popularly known as “Sa cova de ses Llagostes”. It is a natural cave which was formerly a fishermen’s refuge and breeding ground for fish and lobsters, and inside of which a representative sample of the main species of the Ibizan Mediterranean can currently be seen. It is without doubt a perfect place for children and adults to have fun. 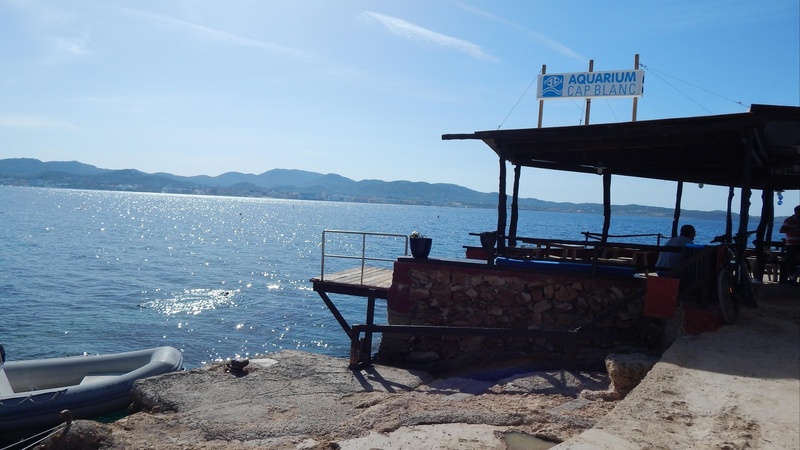 In this former hatchery for lobsters and next to the aquarium, a simple beach bar has been set up with a pleasant terrace for sitting and enjoying a snack and a soft drink, while enjoying the views of the Bay of Sant Antoni and the Illa Conillera island. It is recommended to visit from Thursday to Saturday during the sunset, as this is when a delicious sardine barbeque is prepared. 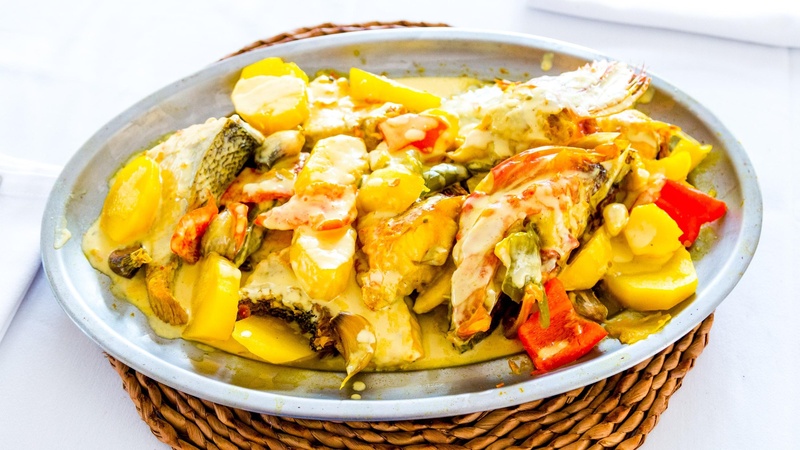 It is a very Mediterranean, fish-based meal to enjoy by the sea. 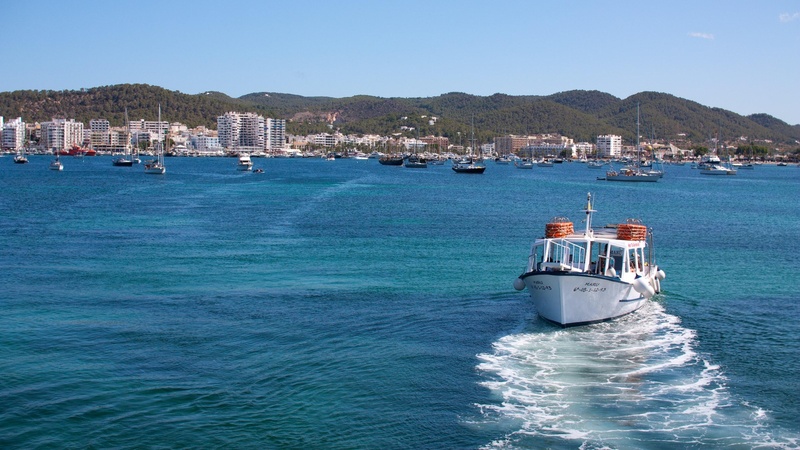 The Bay of Sant Antoni is the most important tourist centre located on the western coast of Ibiza. This bay is made up of the town of Sant Antoni de Portmany on the north coast, and Cala de Bou on the south coast. The border between the two towns is Sa Punta des Molí, a pastoral area of this bay where we find an exhibition room which regularly holds exhibitions. Beyond the beaches of this bay, and the more interesting beaches nearby, the most interesting thing is the variety of water activities that can be carried out in the Bahía de Sant Antoni; paddle surfing, scuba diving courses, water-skiing. The port of Sant Antoni, on the north shore, is also a great attraction in this area. All kinds of boats can be hired here to enjoy a day at sea, from kayaks to sailing boats. 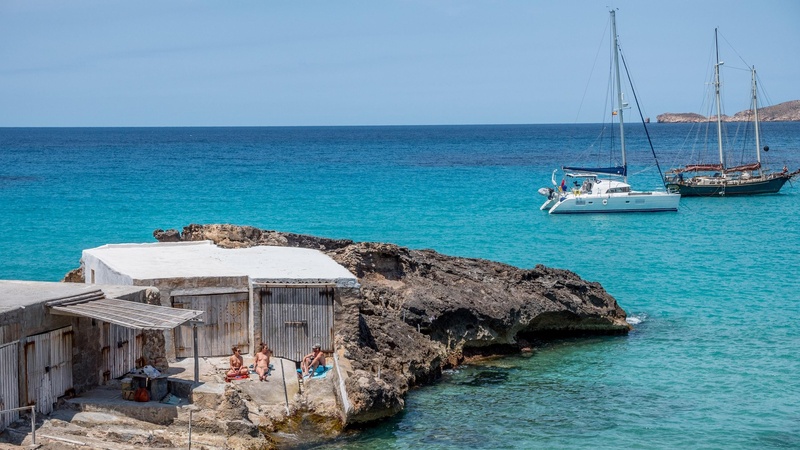 Boat trips can also be taken to the most beautiful beaches of the west, and even to Formentera. This bay can be crossed almost entirely on foot by its huge walkway, which even passes the breakwater of the port. 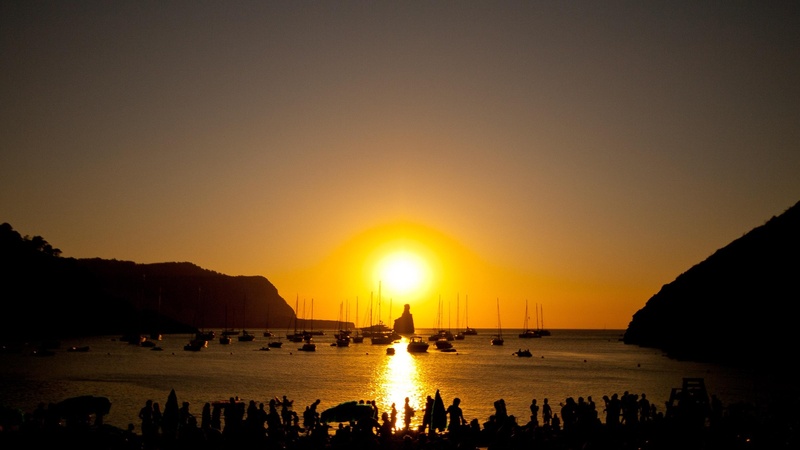 From any point, the spectacular sunset of the west of Ibiza can be contemplated. When night falls, hundreds of establishments turn on their bright signs to attract tourists. 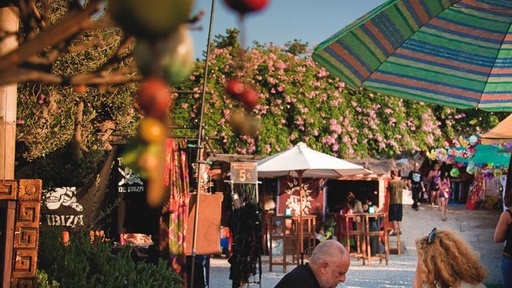 Some are large nightclubs, others are small bars or pubs, or even beach clubs, but above all, there is a wide range of restaurants of all kinds so that an incredible dinner can be enjoyed on the shore of the Bay of Sant Antoni. 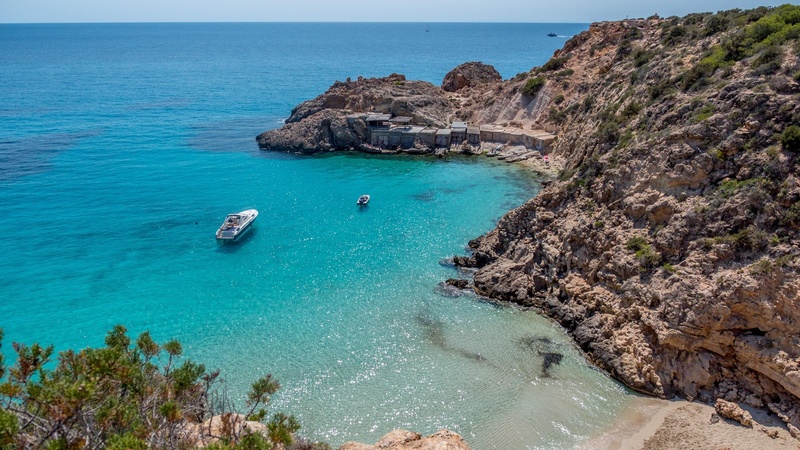 Ibiza is globally renowned for the Mediterranean beauty that emanates from each corner of the island, especially for its coves of crystal clear waters and its interior landscapes. 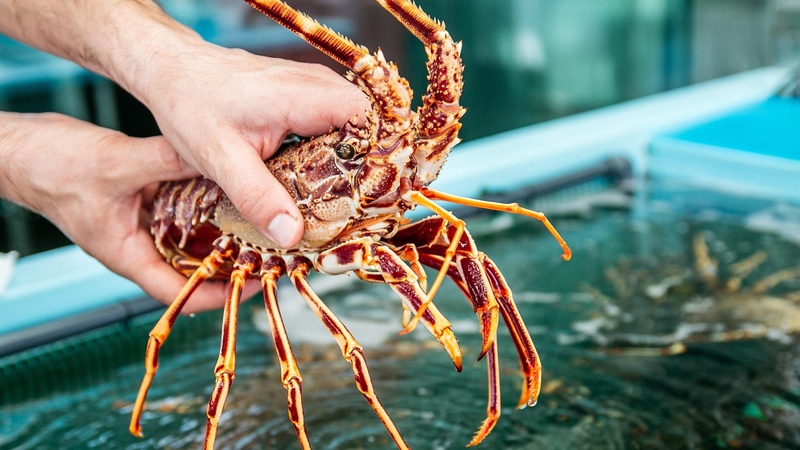 Gastronomy and culinary selection is another unparalleled treasure that deserves to be discovered, savoured and enjoyed in any of the restaurants of the island, which have the vocation of offering the best produce on their tables. Some are focused on tradition, while others opt for discovering new flavours with avant-garde and fusion cuisine. 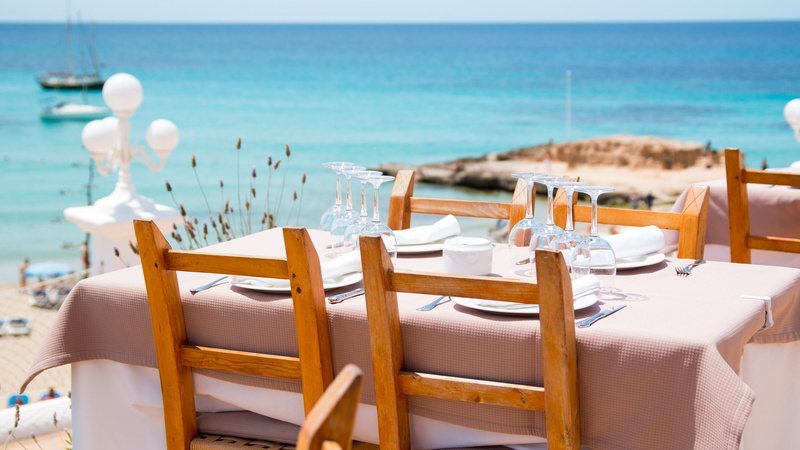 Each diner will find a perfect place to savour the authentic gastronomy of Ibiza. 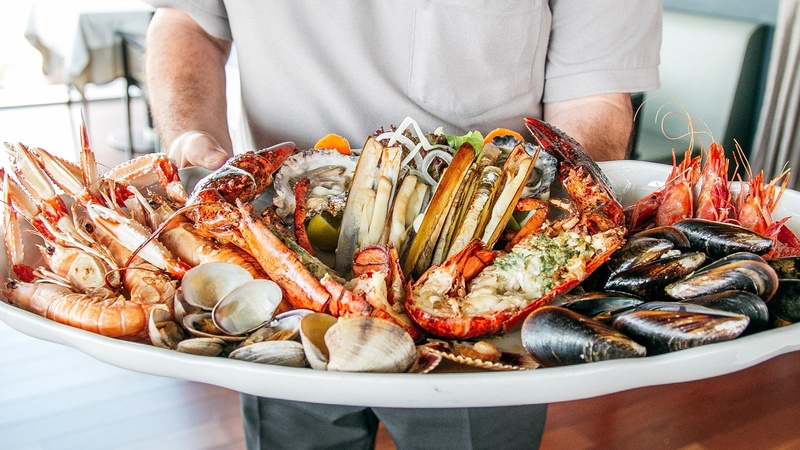 The cuisine of the coast is probably most closely linked to Ibizan tradition thanks to the island being historically dedicated to fishing, a profession which allows the best produce to be used when creating the seafood cuisine prepared here. Typical dishes to sample at any restaurant near the coast of Ibiza are rice dishes, and fresh fish and seafood. 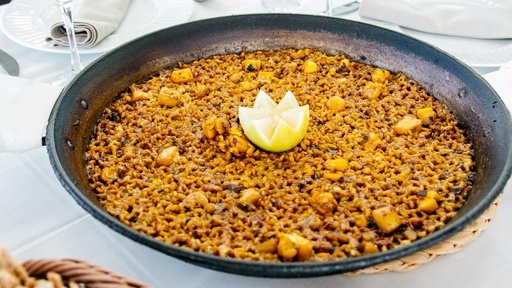 One of the best-known dishes is bullit de peix and arroz a banda. 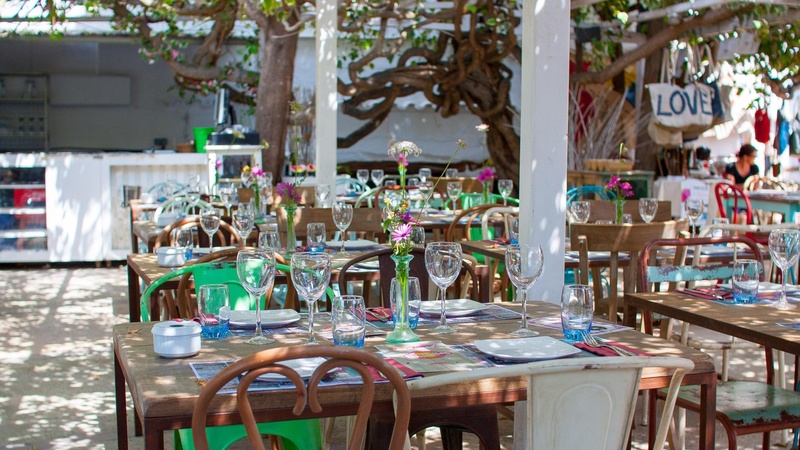 Restaurants with charm at the heart of the island. 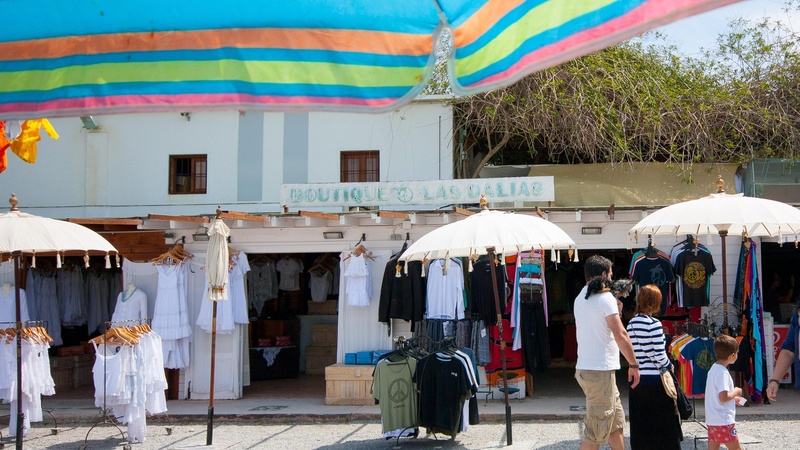 When travelling the roads of Ibiza, it is common to see many businesses by the roadside. The majority are restaurants and take advantage of the former farmhouses, typical of the Ibizan landscape, as an ideal location for enjoying gastronomy in a beautiful and pleasant atmosphere. On the island’s interior, more common dishes are prepared, one of the classics being the sofrit pagés. 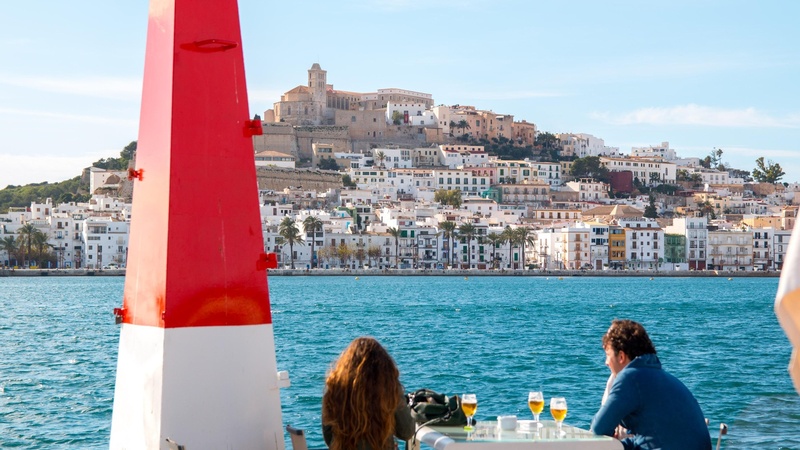 Dalt Vila is the walled city of the city of Ibiza, such an emblematic place of course has a great variety of especially appealing restaurants with pleasant terraces for those seeking a welcoming place to enjoy a romantic dinner. The restaurants of this area are of more diverse styles, with Mediterranean, Italian and French dishes. Bon appétit! At the north-east of the island of Ibiza we find the rural area of Sant Carles. It is a place where the typical Ibizan houses cover the landscape, and hidden coves are some of the hidden surprises. At the centre of the town we find its characteristic church and a small bar with a bohemian atmosphere. This area was the home of numerous artists, painters and sculptors from other parts of the world, due to this casual atmosphere. Las Dalias emerged as a town where all kinds of family events were held, but in the 60s, tourism arrived, which led to Las Dalias being converted into a place where dinners were served with numerous shows. In the 70s, the hippies arrived and Las Dalias began to orient itself towards parties intended for these new inhabitants. The idea of what is today the Las Dalias market began in 1985. It started as a market for second hand goods, and over time became a place focused on handicrafts and exclusive products that the hippies made themselves. Today we continue to find that relaxed, hippie atmosphere, a place where we are overcome by colours and peace and transported to a decade of revolution in all senses. 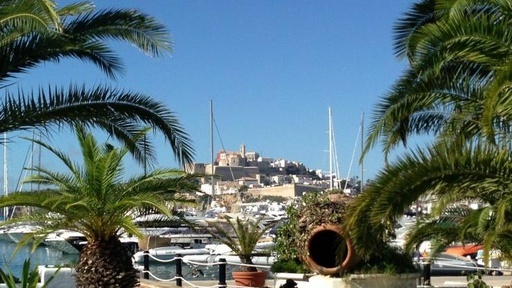 If there is an area renowned as glamourous in Ibiza, it is Marina Botafoch, the marina area that occupies the quays of the north section of the port of Ibiza. This place is notable for its cosmopolitan atmosphere and for the various businesses that have been established in its surroundings. Here we find the most luxurious moorings of the island, attracting yachts that wish to visit the island in style. From here, exquisite views of the old town can be enjoyed. It is also a great place for taking a stroll along the seafront promenade, where we find the most elegant restaurants on the island, for example, Heart Ibiza, managed by the Adrià brothers with the collaboration of Cirque du Soleil. There is also the impressive Lío cabaret restaurant, a place which offers exquisite menus and fantastic shows until late each night. Very nearby we can also find the legendary Pacha nightclub, a unique place to discover the famous Ibizan nightlife. For those who wish to give in to chance, the Ibiza Casino is also found in Botafoch. 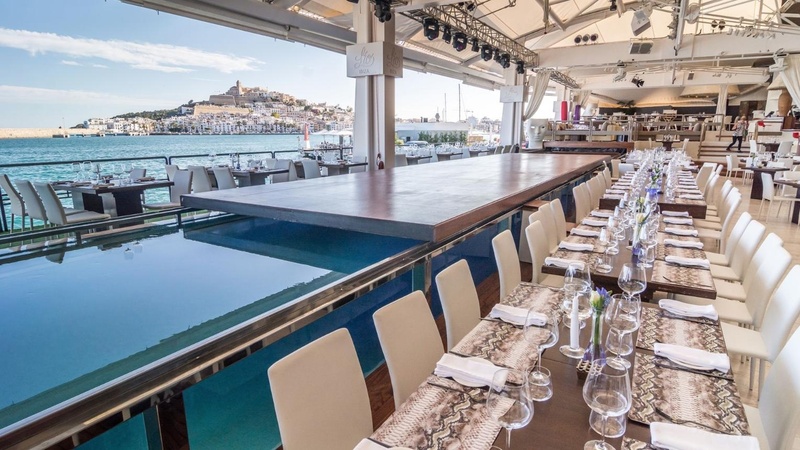 There are of course establishments of all kinds for enjoying a great meal with views of the city of Ibiza, having a drink, or shopping in the exclusive boutiques found here. If Ibiza is known for anything, it is for its world famous night-time atmosphere, as everyone knows that this island is considered a Mecca of electronic music. Hundreds of world famous DJs come to the island each season to offer their best sessions, and even the lesser-known artists become famous after the honour of playing at the most fashionable nightclubs on the island. 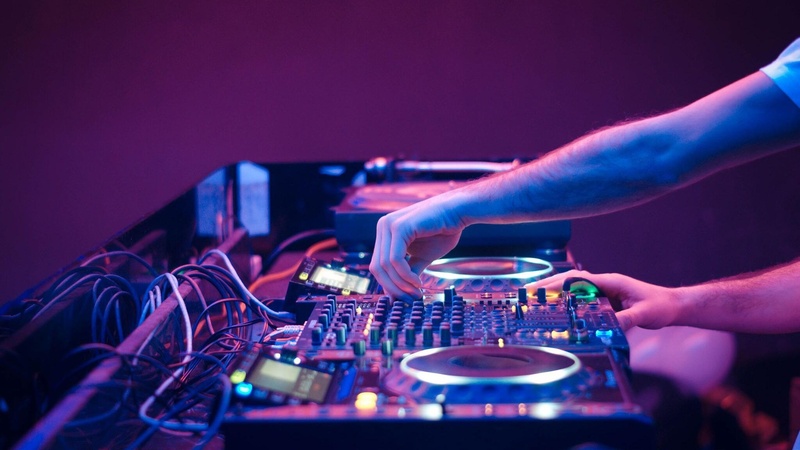 It is no surprise that these are the most-visited dancefloors in the world, as each year thousands of fans of this music choose Ibiza as a destination for dancing as long as they can. Dancing is of course the most popular activity on the island, and can be carried out anywhere at any time of day. Beach Clubs, for example, have recently become a growing business, offering large and small scale sessions so that you can dance on the sand in the daylight, accompanied by great gastronomy, while when night falls, the most famous clubs open their doors to allow the best techno music to be enjoyed. 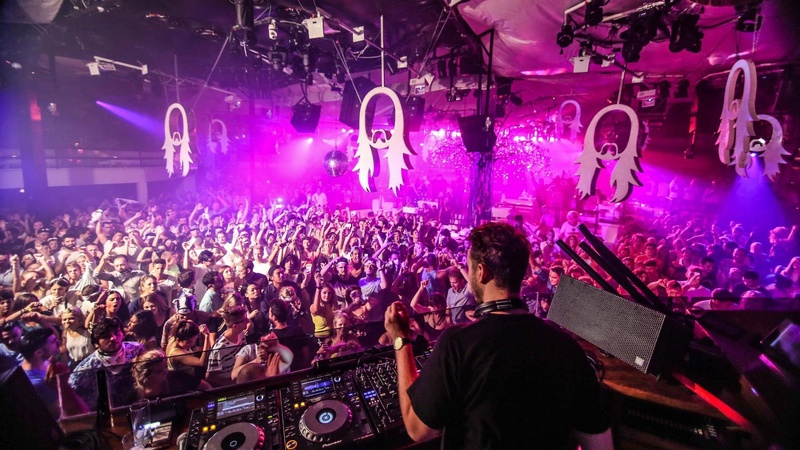 Pacha is one of the most select clubs, with several dance floors under the roof of a former farmhouse. People have danced here since 1973, making the place legendary in the Ibizan scene. Privilege (successor of the legendary club Ku) and Amnesia are the other two major clubs of the scene which have contributed to the musical history of the island, and which currently play the current hits with international parties which make it impossible not to dance. Finally, Es Paradis must be highlighted, one of the most seasoned nightclubs of Sant Antoni, for dancing until dawn. 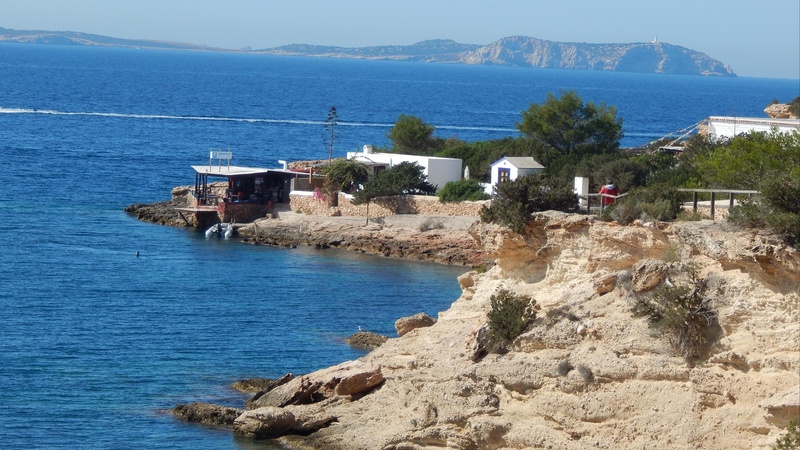 These are some of the establishments which have helped to form Ibiza’s fame, but whatever the size of the establishment and its location on the island, anywhere is a good place if you want to dance. 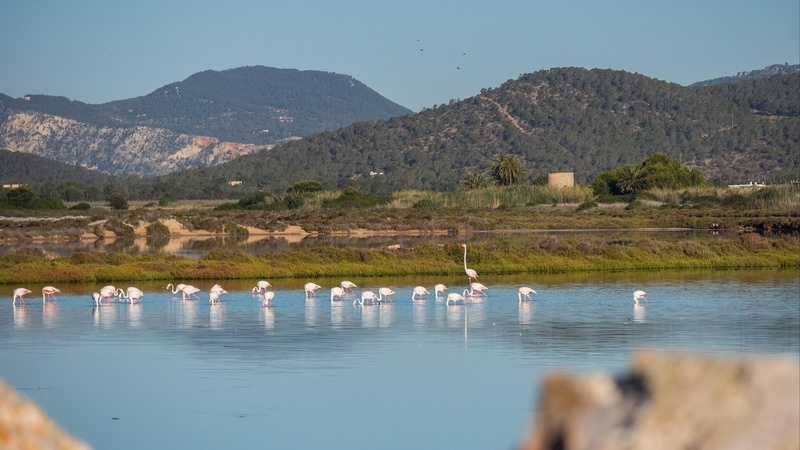 One of the most amazing natural environments of Ibiza is the Ses Salines Natural Park. It is a valuable ecosystem of flora and fauna where salt and ponds are prominent, making its landscapes and beaches unique. 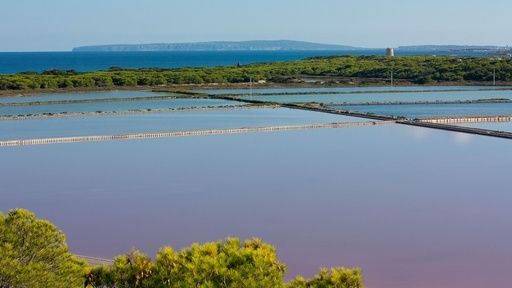 The Ses Salines Natural Park and the marine and land reserves linked to the Park extend from the south of Ibiza to the north of the island of Formentera, and between them there is a beautiful seabed which is home to a large extension of meadows of posidonia oceanica, declared as World Heritage. The Park is a clear example of the wealth of Mediterranean biodiversity. This place serves as a resting and nesting area for many birds during their migration. As a natural space of special interest, it encompasses a set of land and marine habitats with ecological, scenic, historic and cultural value such as the Torre de vigía of Sal Rossa. 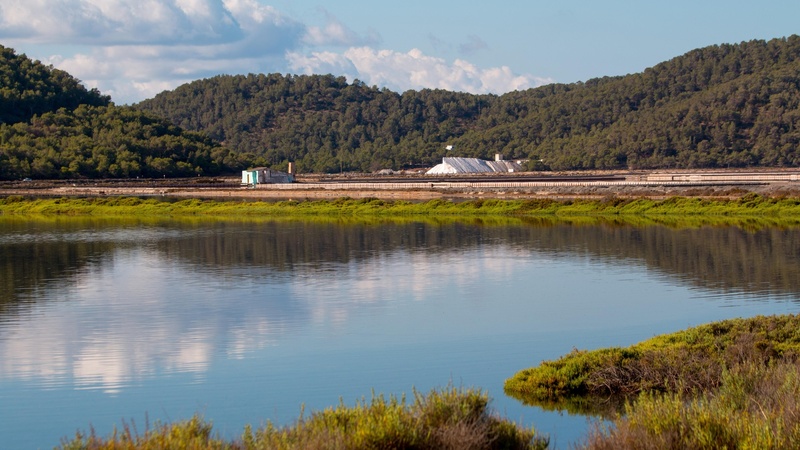 Furthermore, the Ses Salines park offers locations with a lot of charm such as the pebble beach of Es Codolar from which a magnificent sunset can be contemplated, and the white sand beaches of Es Cavallet (very special for its dunes), and the beach of Ses Salines, near to the salt works, from which the loading of shipments of salt can be observed. 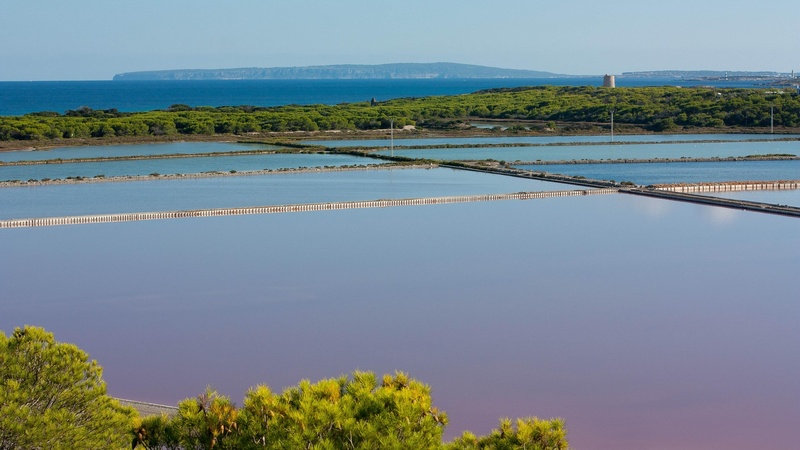 Finally, don’t hesitate to make a stop along the way to see the light reflected in the pools of the salt works, especially during sunset. 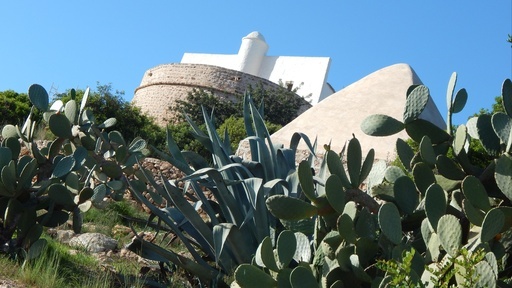 The church of Sant Francesc and Park Interpretation Centre are also worth visiting, examples of Ibizan architecture. On the north coast of Ibiza we find the cove of Benirràs, 7.5km from Sant Miquel de Balansat. 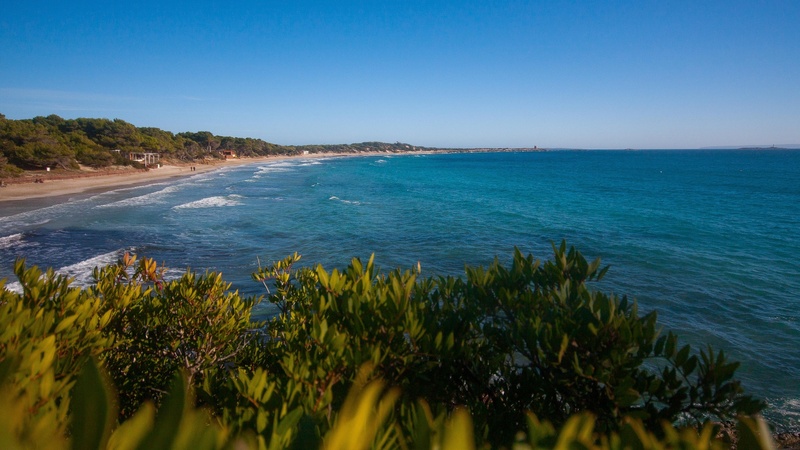 It is reached after a pleasant drive between mountains and vegetation, arriving at the beach, and accessed from the Sant Joan de Labritja road, or from the Port of Sant Miquel. This magnificent beach is known around the island for its famous hippie drum parties. 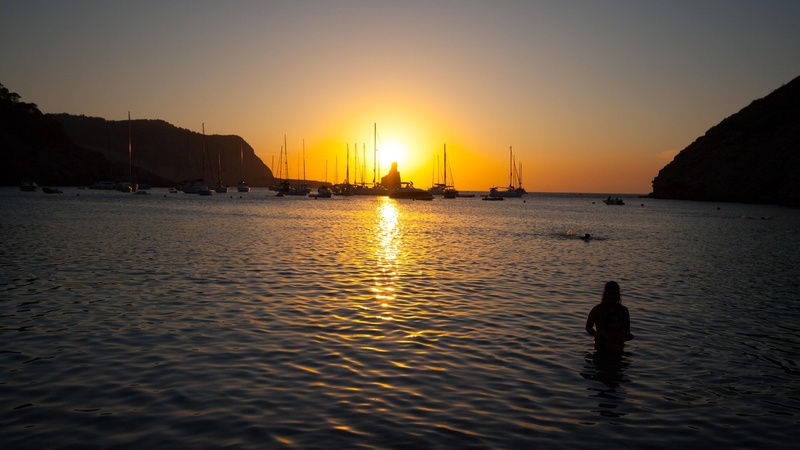 However, this beach is much more than a show as its great location in the west of the north region of the Island makes it an ideal location for enjoying the Ibizan sunset. There is nothing like bathing in its waters while you contemplate the rays of the sun disappearing on the horizon. Best of all is Cap Bernat, an islet facing this coast which completes this beautiful scene with its enormous silhouette in the twilight as night falls. On Sunday afternoons, the sunset is accompanied by the rhythms of drums in unison, an authentic hippie atmosphere. Next to the sandbanks there is a small market where we can find all kinds of hand-crafted items. 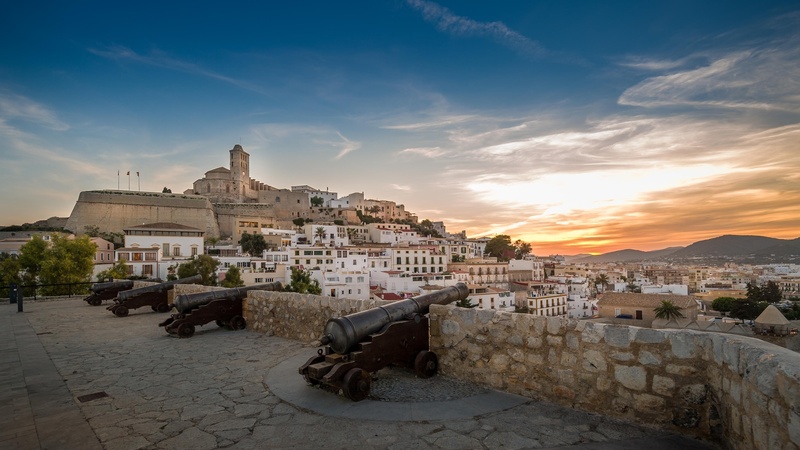 There are places in Ibiza which deserve special attention, for discovering the more historic side of the island, and this is the case of Dalt Vila, a beautiful walled landscape which stands over the city of Ibiza. The main access to the town in found in Mercat Vell, in the Marina quarter. This is known as Es Portal de ses Taules and is crossed by a drawbridge from the Roman period which leads into the Plaza de Vila, a charming place for shopping and dining in romantic restaurants. 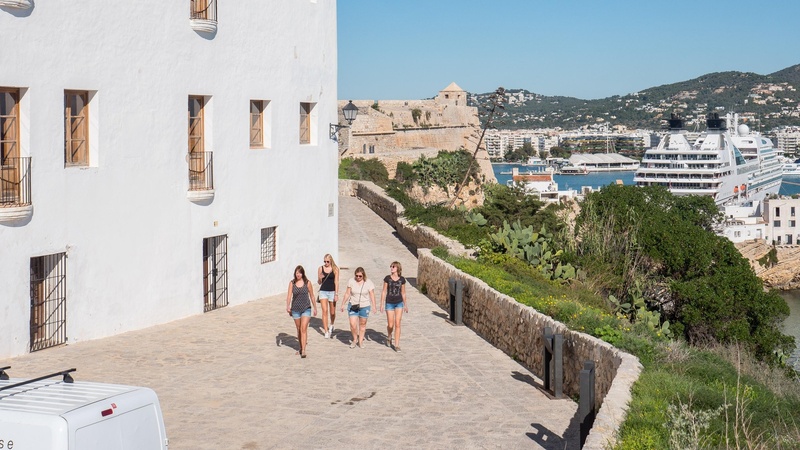 Before beginning the ascent to the higher area, it must be mentioned that in the street that passes over the Portal de Ses Taules the Ibiza Contemporary Art Museum (MACE) can be visited, one of the most important artistic locations in Ibiza. Facing it is the stronghold of Santa Llúcia with spectacular views of the port. Following this route, the Plaza España is reached, where the City Council is found in the former premises of the convent of Santo Domingo. Finally, before reaching the Plaza de la Catedral, the Sant Ciriac chapel is found, where according to legend, Catalan troops entered to conquer Dalt Vila in 1235. A little further is the Casa de la Cúria, a building which is home to the Medina Yabisa Interpretation Centre, the perfect place for discovering the island’s Muslim past. Once in Plaza de la Catedral, there are many things to see. Visiting the archaeological museum is highly recommended.